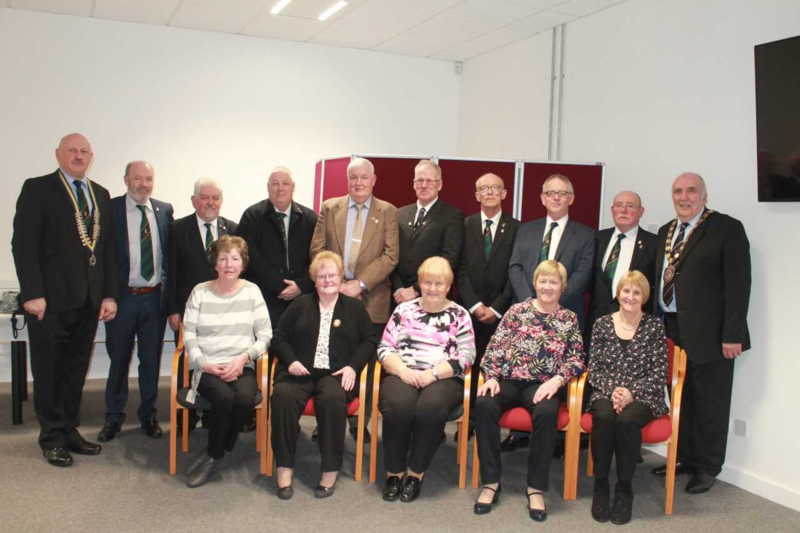 Chairman of Fermanagh and Omagh District Council, Councillor Howard Thornton, hosted a reception in recognition of the Omagh and Fintona branches of the Royal British Legion at the Grange, Omagh, on 15 March 2019. Speaking at the reception, Councillor Thornton said, “As Chairman of Fermanagh and Omagh District Council, I am delighted to welcome you all to the Grange this evening. I would like to extend a particularly warm welcome to our guests of honour, Members of the Royal British Legion branches of Omagh and Fintona in whose honour this evening’s reception is being held. You are all most welcome. Both Omagh and Fintona have a long association with the Royal British Legion, with records showing the Omagh branch being established on 15 May 1921 and having its first President, Captain A.H.R Duncan serving from 1921-27. This gives a continuous presence of the Royal British Legion in Omagh for some 98 years. Fintona Royal British Legion was founded in 1947 with the first President being Raymond Browne esq who served until his death in 1962. 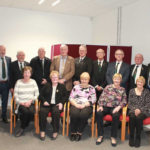 Membership in both branches has continued to grow over the years with the Omagh Branch’s membership now topping 310 and Fintona presently having some 95 members. The Royal British Legion in Campsie Omagh I am told was acquired in 1955 for the princely sum of £50 – remarkable when you consider the fine building it is today to have only cost such a small sum compared to today’s prices. Times have changed since those early days when Lt Cols, Cols, Captains and Majors presided over the branches into the late 1950s which I suppose was indicative of the amount of men who left these shores including from the towns of Omagh and Fintona to fight for King and Country and the desires of those who came home to alleviate the suffering of wives and families left without a breadwinner and to look after the needs of the injured and the survivors. I am delighted that the Royal British Legion remains a vibrant organisation and it is commendable the work the Legion undertakes to support the annual Poppy Appeal. I note the exceptional efforts of both Omagh and Fintona who have raised significant funds through the annual Poppy Appeals. I congratulate every single person involved in this worthy cause, all of whom give of their own time in all weathers to raise these funds. Like so many of other worthy causes, the Royal British Legion exists because of the efforts of so many like yourselves here this evening who willingly give of your time in the interest of others and so it gives me great pleasure to acknowledge in a small way through this Reception this evening your commitment and dedication to such a wonderful organisation and to the ongoing annual Poppy Appeals.